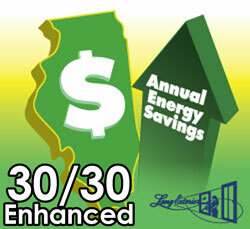 Lang's Enhanced Low-E and Argon Glass package offers a combination of insulated glass technologies that can give energy and money savings while making the home more comfortable. Lang Enhanced Glass has been specifically designed to keep interior temperatures comfortable when the outdoor temperature heads for higher or lower digits. Homeowners are now able to maximize day light and enjoy the view, while keeping air conditioning costs to a minimum. In mild climates or in climates that enjoy mild seasons, southern and western elevations of a home can be exposed to significant unwanted solar heat gain. The result is a higher temperature in rooms that are exposed to the sun, while the rest of your home and the air outside remain at a comfortable level. The Enhanced Glass Package greatly reduces this effect and helps maintain a uniform comfort level throughout the house. 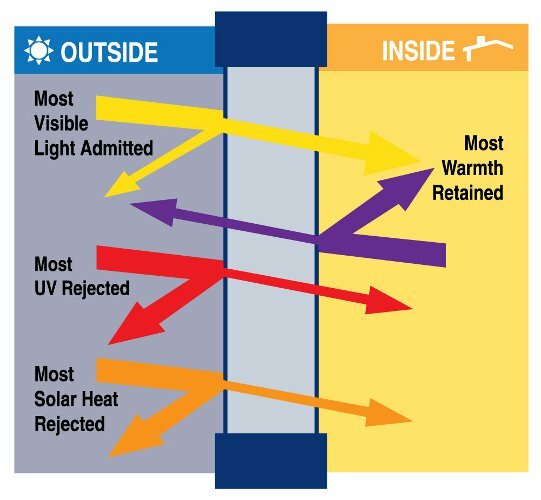 In addition to providing relief from the intense heat of the sun, Lang's Enhanced Glass Package also provides superior insulating performance during the cold nights of winter by efficiently reflecting the heat from your furnace back into the house. All windows with the Enhanced Low E and Argon Glass Package will come with labels stating U factor .30 and SHGC .30 or under.